The way the rental industry is growing across the world, especially in developed areas, it seems tenants are playing as the most crucial role for this whopping rental industry. However, renters insurance is often ignored despite of being so much valuable to both the tenants and landlords. With the help of renters insurance, tenants can give protection to their valuable things and financial standings that they put on risk during their rental period. At the same time, landlords who underestimate the importance of renters insurance may also get protection to their property in the event of any damage, theft or loss done by the tenants. All they need is just the renters insurance. Wrong: Property insurance will only cover up the damages occurred to the building itself and the body related injuries to the tenants due to the negligence of the property owner. It won’t cover up the possession of renters like- clothing, furniture, electronics etc. Nonetheless, with renters insurance, tenants could cover up their belongings. Wrong: No, it’s not true at all. Renters insurance is quite inexpensive which merely costs between $15 and $30 per month depending on the limitation of coverage. And if you add renters insurance to your auto coverage, you can avail multiple discount offers. Wrong: Items including furniture, appliances, and clothes can add up quite quickly if destroyed or burned in fire and subject to be replaced at the same time. And in United States, most of the people typically own laptop/computer, cellphone, TV etc. It’s very common among tenants in U.S. to be found with such items. Renters insurance covers such items of tenants if they got theft away from home. Wrong: Renters insurance covers more than just the personal property and most policies including up to $100,000 in liability coverage. This $100,000 could help in protecting tenants if they accidently harm someone else’s property or are responsible for the injuries of another person. If in the event, security deposit is not enough to compensate the damage amount, the liability coverage will provide landlords with an extra layer of protection if their property is unintentionally damaged by the tenants. 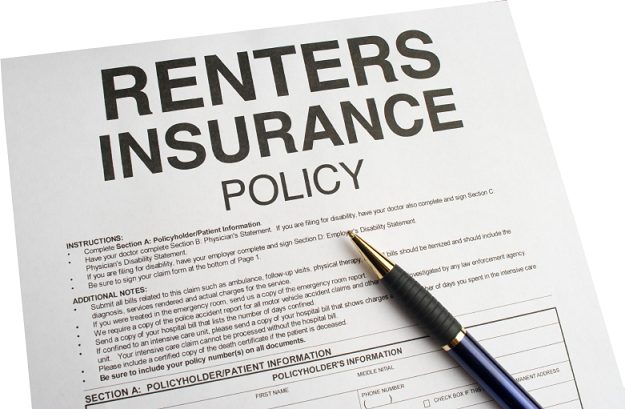 How renters insurance is equally beneficial for tenants and landlords alike? As you read above, renters insurance is worth considering for the tenants. With the help of this insurance policy, renters can gain valuable protection for their essential possessions and get a solid monetary stability. At the same time, Landlords avail an extra layer of protection for their valuable property and for themselves too. Overall, it’s equally important for tenants and landlords both and must be added to their must-have list. How to tackle with your neighbors wisely?